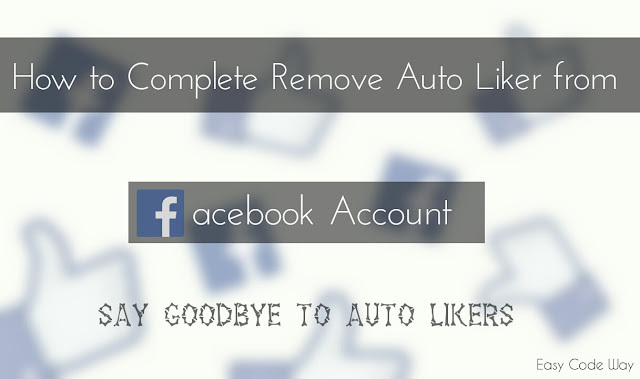 We all are familiar with Facebook auto likers and why not? These are trendy from past few years. In this unrealistic world, everyone want to show-off and social media is great platform for us. Especially Facebook where we judge people on the basis of likes they get and yeah it is true or real to some extent but not all the time. According to Facebook policies, you can add only 5000 friends in a single account which is very large value. Moreover it provide follow option after this limit. By research and studies, its been found that a normal person can have only 200-250 friends. What most of the people do is they either send requests to unknown people or they use auto liker to get more likes on their status and photos, ultimate aiming to get fame. Adding unknown friends one by one is a very long process and it is quite risky as Facebook can ban you from sending requests or may be permanently disable of your account. So we are left with second option only, which is auto liker. In my early tutorial I had posted an article on reasons why you should stop using Facebook Auto Liker, where I clearly explain what auto likers are and how did they work. Moreover what are their risks or why you should stop using them. I recommend you to read that article first. What problem did Facebook Auto Likers create? liking and commenting unknown photos and status. liking unknown pages and joining groups. Posting on friends wall and groups to promote paid ads or their own website links. Following unknown people, even from different countries. All above mentioned cases are enough to proof that your account is hacked or it is out of control. You can check your activity log to find these malicious activities and if found any of them, you should immediately remove auto liker from your account. Now the question how to remove it? 1. Login to Facebook and move to settings. 2. From the left sidebar menu, choose apps. 3. 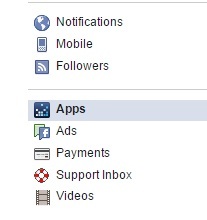 Now click on "Logged in with Facebook" option. 4. Here it will show a complete list of all apps you've enabled. Simply find one which you used to login while using auto liker for the first time. Usually it is "Nokia Account", "HTC Sense" or "Blackberry". I prefer to select those apps which are unknown for you. 5. Click the cross button next to selected app and a pop-up box will appear. Finally hit "Remove" button. Yippee! You have successfully done it. After above steps you'll no longer like any photo or status of unknown people, neither you will post on groups or friends wall. For your satisfaction, wait for few days and check activity log time to time. Cross check all activities and match with your real one. Definitely you will find happiness on your face and that's what I want. Stay happy! Finally if you have any query or doubt, please let me know in comments. Thank You ! :) but if it does not work then what should i do ? Sure! You can ask me any time. I am always here to help you. for example.. I used autoliker to like a post how do I undo that? I have Auto-liker kinda thing and each and every time I delete it, it comes back! What do I need to do to make it stop? Can I block is somehow? Hello. I have already disabled all the apps, but my likes are still used. Can you help me? I cant post screenshot here so it is hard for me to explain. hi... plz send me nokia account link ? After removing this apps then also it's like unknown pic nd comments .. plz can anybody help me out ??? I tried all of this method(remove all apps, password changed, change privacy settings public to friends, secure accounts by fb etc) ,but didn't work. I have used this auto-liker (http://www.autoreactions.com/) because I was stupid and now when I want to delete it from facebook it's not showing up on the Activity log. Yet it still keeps reacting and commenting to people I don't know and pages I don't want to like. Please show me how to remove this. Please help me.